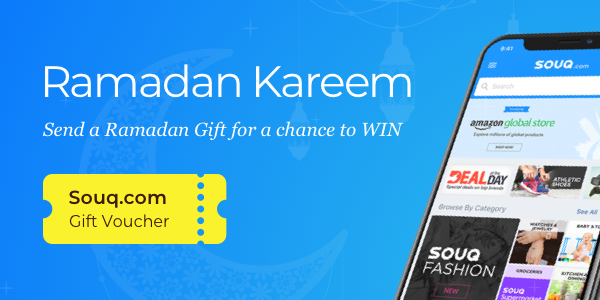 Send New Ramadan Gifts and You Could Win a SOUQ Gift Voucher! For the month of Ramadan, send any of our Ramadan Gifts, including beautiful, brand new gifts like "Noor" and "Masjid", and you'll be entered to win a SOUQ gift voucher valued at 200 SAR (equivalent to ~$55 USD). Start sending today! Brand new gifts are waiting for you in the Virtual Gift Store right now. Good luck, and Ramadan Mubarak!